A2 Hosting has been around since 2001. When it first hit the scene, it was known as Iniquinet, but it was renamed A2 Hosting back in 2003. The name may have changed, but the services and features have remained the same. The company is still known for providing blazing fast speed, superior uptime, and stellar customer service today. It manages to accomplish this by owning all of its own web servers. It has data centers in three locations, with the primary data center in Michigan and additional servers in Amsterdam and Singapore, Asia. 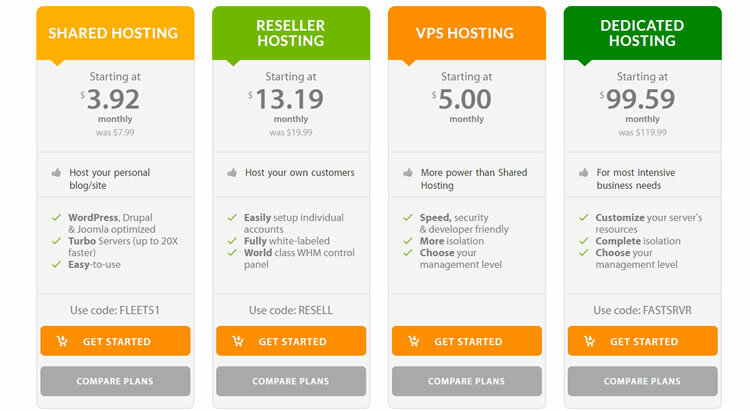 First, though, take a minute to see the different hosting plans that you can get if you use A2 Hosting. Then, I’ll go over the specific features that I like with this company. Regardless of the account that you use, you can integrate it with Joomla, Drupal, or WordPress. It’s also easy to integrate basic shopping cart applications to create a merchant website using .